The Optimist Club Active Start program is designed for first year players born in 2012, 2013, 2014. No skating or Ringette experience required! Introduction to skating basics including: balance, skating forwards and backwards, stopping and introductory Ringette skills. 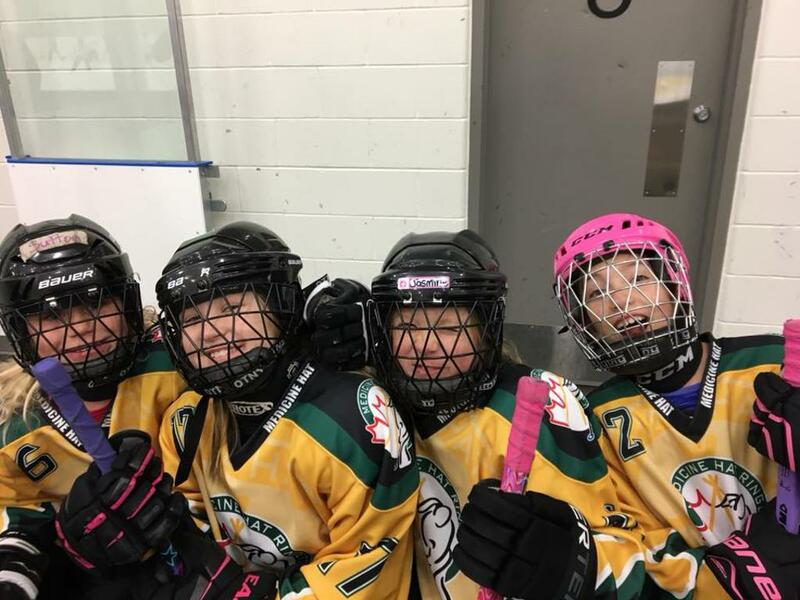 The Active Start Program provides an opportunity for players to meet new friends while gaining a firsthand experience in the game of Ringette. Emphasis on active involvement, participation and FUN, all with a Team of Girls! All ice times will be run by professional skating coaches from Platinum Star Power Skating. Program consists of 16 ice times (once per week for 1 hour) 8 weeks before Christmas and 8 weeks after Christmas. Introduce the concept of informal games in a 1/2 or cross-ice format. No scorekeeping. . There is no travel required with the Active Start Program. Emphasis on active involvement, participation and FUN. Half ice games for the 1st part of the season to promote skill development and maximum "time on the ring." Coaches on the ice during games for the first half of the season. 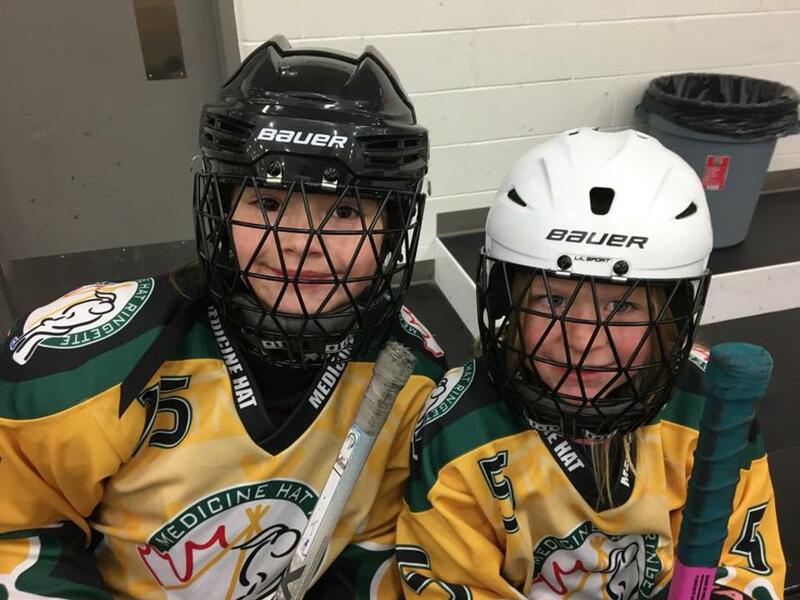 Second half of the season will be full ice games with a focus on basic concepts, rules and flow of the game.The use of "Right Sized Nets"
Very minimal travel- teams will primarily play House League games in Medicine Hat with the possibility of also playing an exhibition game in Lethbridge. Tournament participation permitted. Quantity approved by the Association (1 - 2 maximum with recommendation that one be at or close to home and one “fun trip” away.) Participation in Home Tournament. Professional power skating sessions are included in the registration fees. Continue to refine skills and to understand game concepts. Emphasis on learning all positions- including Goaltending. Participation in away Tournaments and Home Tournament. Participation in Zone Play Games (South of Calgary). Continue to use "right sized nets'. Season begins mid to end of October and continues to the beginning of March. More advanced programs continuing to work on game fundamentals all the way up to game tactics and plays depending on the division and level. Teams will travel and play in the Calgary (Zone 1,2,3 League). Games will be played at Home and Away. Teams attend both away tournaments as well as the Home Tournament. Teams have the opportunity to participate in Play downs and Provincials. Power skating sessions are included. Season begins with evaluations the beginning of September and continues to approximately mid March (depending on Provincials). Please email waysandmeans@mhringette.com to find out more information on how you come become a sponsor of MHRA and have your logo proudly displayed on our website! Kona Ice has been a big supporter of MHRA for the last three years. We are proud to partner with them on Canada Day! Come out and support both Kona Ice and MHRA on July 1st at Kin Coulee Park. You can also like them on Facebook to see where they will be each day! Medicine Hat Accommodations Association has been partnering with our Ed Horvath Tournaments for many years. Steep Rock has been a huge supporter of MHRA Coaching Development and we are so pleased to continue our relationship with them. Our coaches were very fortunate last season to be equipped with Coaching Bags stocked with all the necessary Coaching Supplies, this was only possible with the support of Steep Rock!